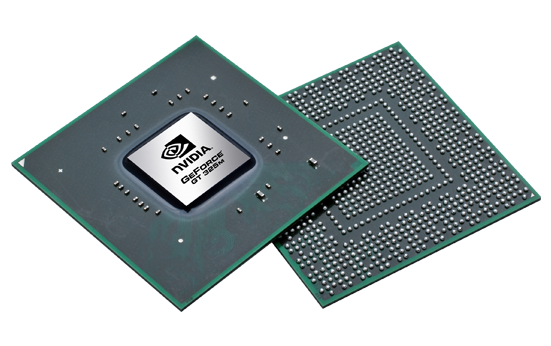 The Nvidia GeForce GT 325M is a DirectX 10.1 capable middle class notebook graphics card. Technically it is a slower clocked GT 330M and similar to the GT 230M. The core clock of the chip is a bit below the GT 230M, but faster memory is supported. The power consumption should be a bit below the average GT 230M. The performance of the GT 325M should be similar to the GeForce GT 230M and therefore located in the middle class. The card should support DirectX 10.1 and all the features of the GT 230M (as it is based on the same GT216 core). Therefore, PureVideo HD (with VP4?) and CUDA support should be in the chip. As with the GT 230M, the performance depends on the used graphics memory. With slow DDR2, the card can be up to 20% slower than with faster memory.